Super Junior is set to release their 5JIB on August 3 and started releasing their teaser photos, from Eunhyuk, Donghae and the latest is Leeteuk. 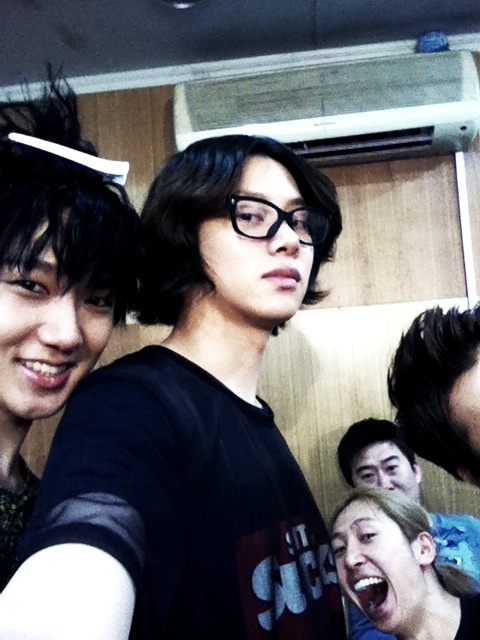 There's no definite concept for 5JIB as of now. And to make it more exciting, SJ started filming their Music Video today, July 22. He said on his tweet that he's dating the boys and uploaded these photos. We can see Heechul with his new hairstyle and Yesung beside him and even Donghae's forehead. These updates ain't enough right? Let's keep on waiting! !